...the first the corner units and nice location. First come first serve. Just near the Iloilo International Airport. A provision for 1 bedroom. Property is along the main road. Perfectly rectangular in shape. 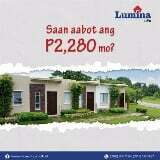 Clean title, almost 2,000 sqm, vacant lot. Prices are negotiable Php 35 Million.